Educators around the country are eager to adopt new learning strategies that match the needs and constraints of the modern, connected world. The problem many teachers encounter, though, is that while teaching methods can easily change, creating the right learning environment to optimize the experience is more of a challenge. It’s much easier for teachers and students to adopt active learning techniques when the classroom is arranged to support that style of learning. Obviously, a total classroom conversion from traditional, lecture-based arrangement to an active or living classroom can be overwhelming. Here’s the good news, though – the conversion doesn’t all have to be done at once, and there are steps you can take to make the conversion much easier to manage. But, it all starts with understanding what active learning is all about and how your classroom can be arranged to best support it. So, we’ve broken down the active learning zones to discover what’s most important and why it’s worth the effort to create a learning environment you’re students can thrive in. Before you dive into this topic, it might help to read more on the different zones of the Living Classroom, here. Or, explore setup options for Zone 1: Instruct. Active Learning engages students in the learning process, and it requires them to be responsible for their cognitive development. Teachers who support and encourage active or self-directed learning strategies are no longer responsible for choosing what is learned, why it is learned, or how it is to be learned. Students are encouraged to think for themselves. With this in mind, it is understandable that a traditional, lecture-based classroom layout is not as conducive to active learning methods. Living, collaborative classrooms require flexibility when it comes to desk arrangement, switching from an individual, to group layouts as the curriculum changes. Students and teachers alike need to know how to learn and how to collaborate effectively by taking ownership of their parts. This strategy builds an active learning community that supports, uplifts and empowers each other. Students who are goal-oriented, self-confident, responsible, independent and manage their time wisely will thrive in this environment. In the pre-digital age, most of our learning took place solely in the classroom and was controlled by a teacher. But in today’s world, we are heavily influenced by outside sources of learning that include tools such as YouTube, Google, Wikipedia, Siri, blogs and social media. The result of this cultural and technological shift? The modern classroom is changing. The learning revolution is transforming the way we teach, learn and, in turn, how we arrange a classroom. 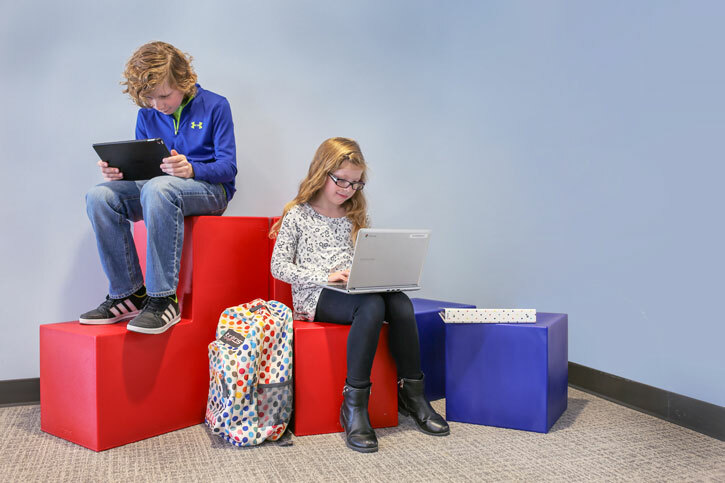 Create flexible learning spaces by adding casters to your tables, desks, and chairs for easy mobility. 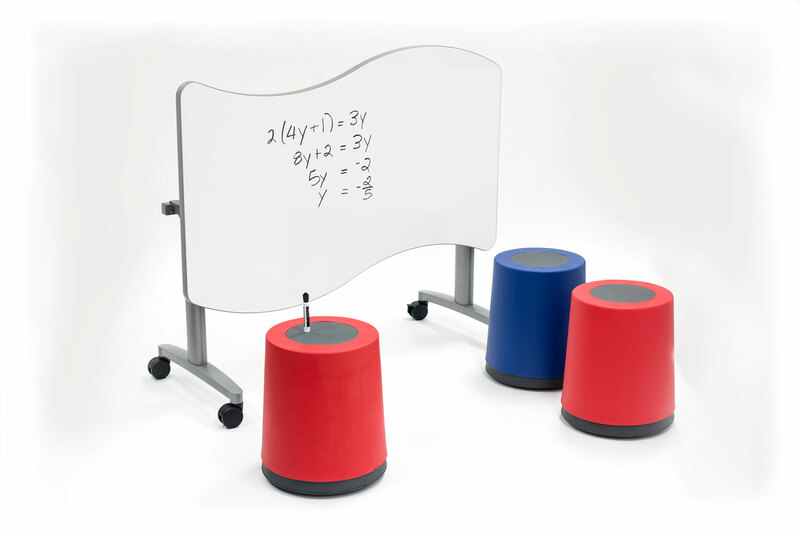 This allows you to quickly and easily reconfigure spaces for individual or group work. 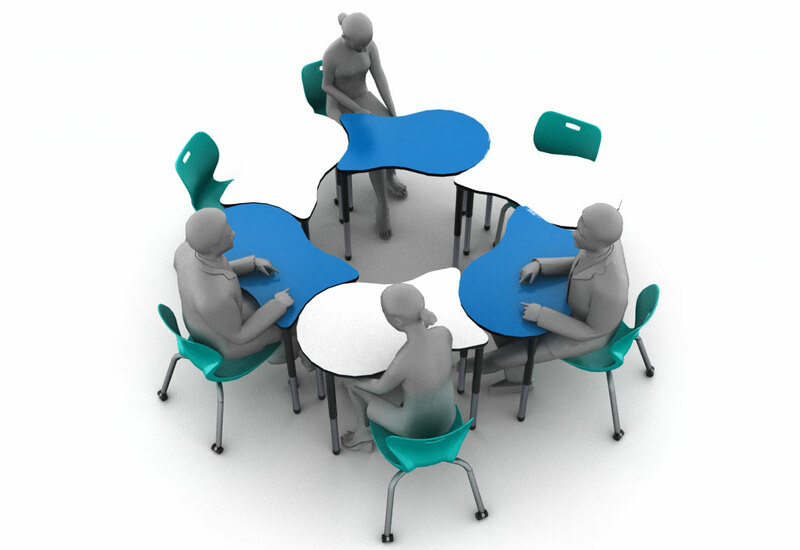 Design “pods” of shape tables and desks that can accommodate 2-person, 4-person, 8-person, 10-person, etc. setups. Flip-top tables and desks with markerboard tops allow you to create an individual workstation that can easily be transformed into a presentation space allowing students the ability to take control of their own learning path. Giving the students tools to present learning modules will help them to retain the information being taught. Individual teacher stations can easily be incorporated into collaborative configurations. 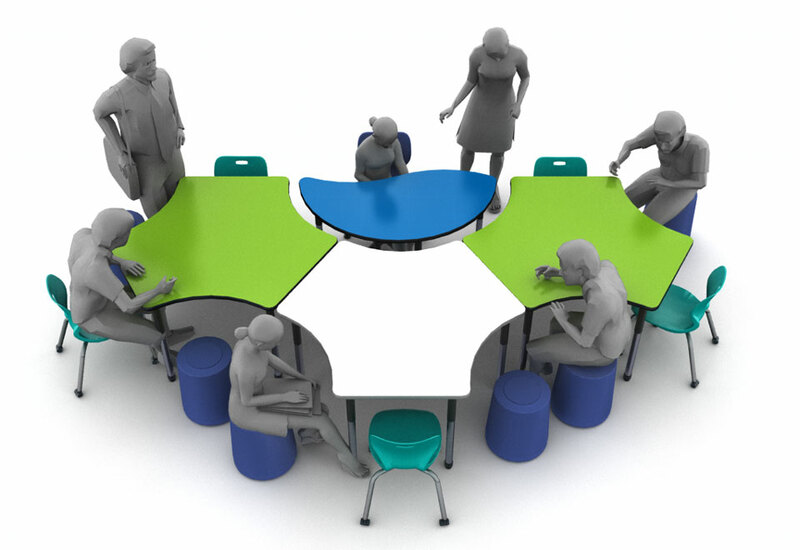 Combine the Nebula Shape Table (Teacher Station) with the 3P-120 Shape Tables and adaptable seating solutions to create a flexible learning environment that can accommodate up to 12 learners. When you need a space for individual or small group work, break them apart and move accordingly. 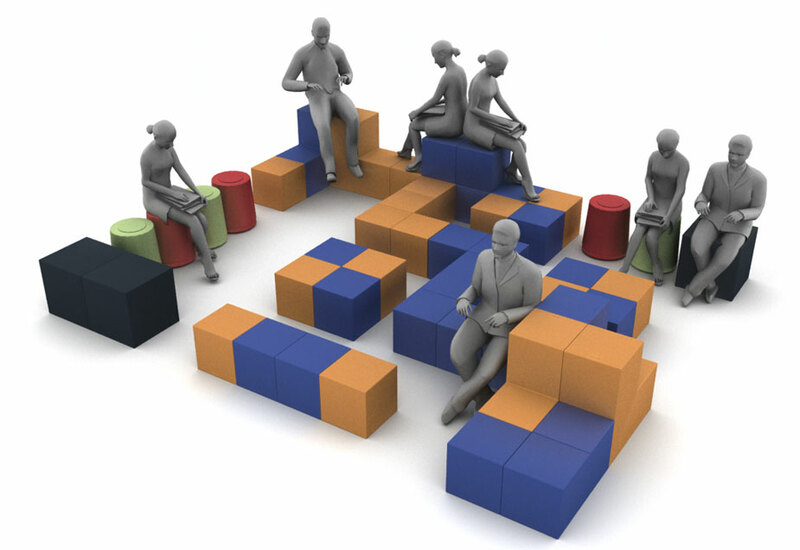 Create fun and flexible learning spaces using Alphabet BLOC & STP! Since BLOC and STP can be used from all sides, they are versatile and accommodating. Combine with Alphabet MOV and FLOT to create truly dynamic and innovative learning spaces. Use them together as casual seating, tables or even as an impromptu work surface. Mix and match the various shapes and sizes for creative collaborative learning spaces. Today’s classrooms are smarter, more connected, and adaptive to a range of learning styles. This shift requires classroom furnishings that support active learning and provide educators vital options to help them create the right learning environment for their students. To learn more about how schools are approaching classroom conversions or to map out the plan for your own classroom, download our Collaborative Conversion brochure, or visit with one of our local partners.